Your health is the most valuable asset you have. Low Country Health Care System, Inc. provides health care for all members of your family and would be proud to serve as your medical home. We understand that life is full of unexpected moments. From annual exams to minor emergencies and unforeseen illnesses, our office is fully equipped to provide health care for patients of all ages. The Low Country Health Care System has a wonderful history of providing primary care services to medically under served communities. Low Country Health Care System is happy to announce that we have certified health insurance counselors to assist individuals with applying for affordable health insurance under the Affordable Care Act. Individuals do not have to be a patient or become a patient of any of our offices to come in or call for assistance with the affordable health insurance process. Lisa Milledge is located in our Fairfax office, Low Country Health Care System and Samantha Ford is located in our Barnwell office, Barnwell Family Medicine. They will be able to answer questions and assist the public with the Marketplace application process. 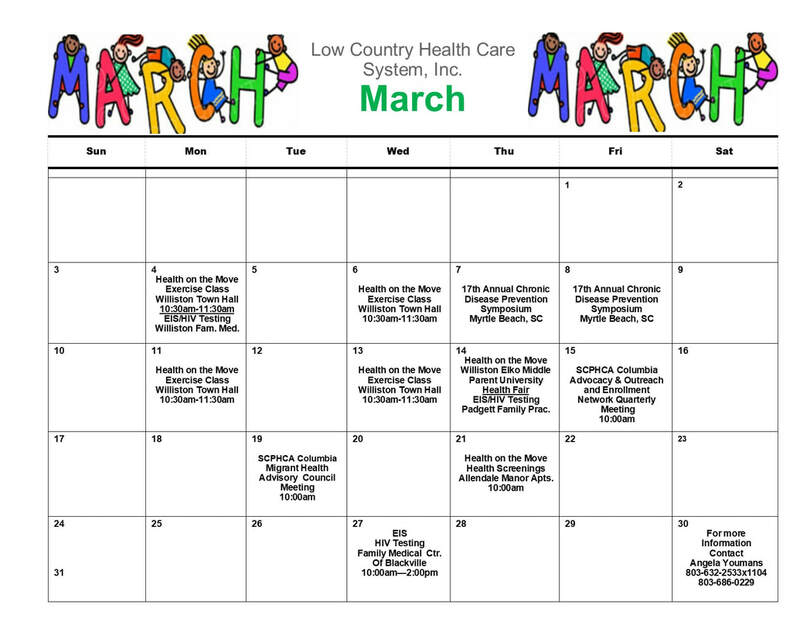 Call today for an appointment, LCHCS in Fairfax 803-632-2533, Barnwell Family Medicine 803-259-5762.